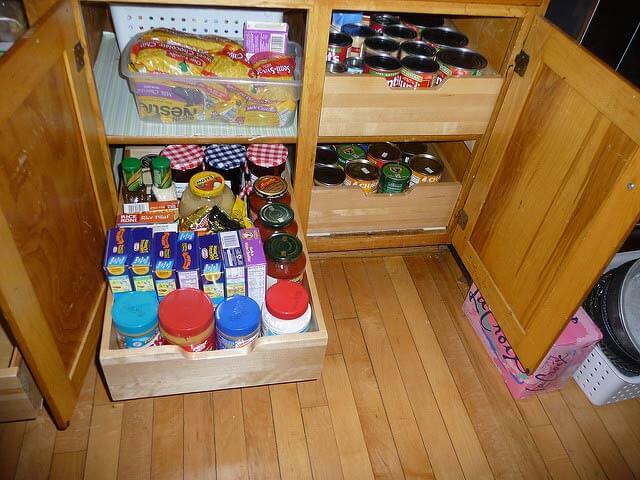 In the previous articles I shared many ideas about organizing the kitchen and How to effciently enhance storage. Today I will help you organize your kitchen drawers. You do not have to start cleaning and maintaining all the drawers at once but take them one by one. Messy and unorganized drawers make one’s life very difficult. It wastes your time while cooking and some people even lose their temper if they cannot find the things they need on time. So why not keep them in an organized way. It is not a difficult task so don’t be lazy, get up and start working! I wrote “any leisure time” because if you take the task to complete in one go, you will not enjoy the work. Close your eyes and try to imagine all the things that you have put in any one of your drawers. Can you remember all of them? Definitely not! But do not worry! It is really simple to remember them when you write them down on sticky notes. Stick the notes on the drawers which contain all those things. It would be really simple the next time you are in hurry and looking for things. Review your kitchen setting. There may be things which need to be reorganized. Look whether your daily used kitchenware is close to your cooking range or not? Also check whether you can place the dishes that need to be washed go into the sink conveniently or not? While taking inventory, you’re going to start to see places where you can improve organization. It is mandatory to think which things will go where. Place silverware together, china together, glass utensils together and so on. This shows a well organized taste. It is very difficult to manage the drawer if everything is jumbled up in there. But you can keep the same number of things in the same drawer just by making partitions in it. That will really be a wise decision. Time to do some cleaning and clearing out! Empty all your drawers to find out which things are useful to you and which ones need to go to the trash bin. A few simple steps will help you to get rid of things that you put back in drawers when you were clearing them last time. If you notice that you have not used things since then, keep them aside and throw them away. If you do not do baking very often, then your electric beater or a few other things may need some cleaning. Clean the electrical appliances with cloth and wash the dishware etc. Putting liners in your drawers gives a firm position to jars etc. There is no danger of anything falling and spilling out. You can find different colored liners which will give a very nice look every time you open the drawers. Here are a few liners which you might like. Try a few that match your kitchen theme. My article about different kitchen paints might have helped you to set a beautiful theme for your kitchen. Cabinet door can also be useful! Look how wise it is to put thing like aluminum and plastic wraps into holders like these! This helps you save drawer space and you know what you can nail these holders inside your cabinet door too! What a wise use of space it is! Isn’t it? You can always recycle the unwanted stuff. It is very easy to look for recipes on internet. You can visit my website and enjoy unique recipes. Only a few booklets can be kept on bulletin board etc. This saves some space and also provides recycled paper. Plastic bags can be used and recycled using dispenser. But it is better to use bags made of paper and preferably of cloth. Paper bags can be recycled without harming the environment as much as plastic bags do. As far as cloth bags are concerned, they can be washed again and again. This will help you to contribute in reducing environmental pollution too. As I wrote in my previous article that arrangement of the items is really important. If you randomly put away things in the drawers, you will not only face difficulty taking them out next time but also forget where you had placed a particular thing after use last time. So keep like items together. Life becomes very easy if you split your drawer this way and make groups of things. 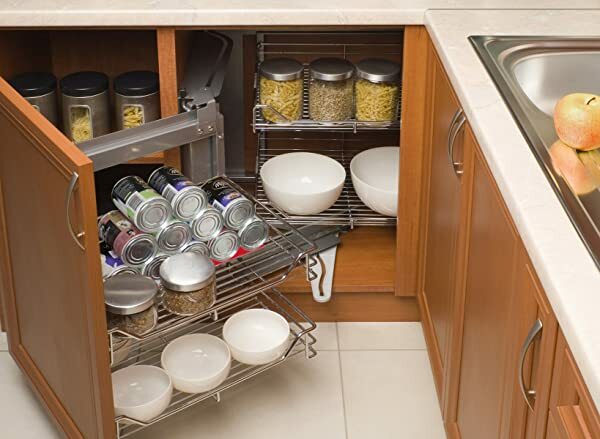 Different sized kitchenware can easily be accommodated in the drawers this way. So friends, tell me how are you feeling now? I hope you must be feeling really satisfied by seeing neat and clean drawers. Next time whenever you use anything from your drawers, keep them back in the same place so that you do not make them messy again. As a result, you will only have to clean them for dust etc. Do not forget to share your experience of optimizing your kitchen in the comments. I will be looking forward to listen from you!